Timely articles written by IHS Markit researchers that address the current energy picture. US Federal Energy Regulatory Commission (FERC) Chairman Neil Chatterjee gives remarks during CERAWeek. For over 12 years, Amazon Web Services has been the world’s most comprehensive and broadly adopted cloud platform. 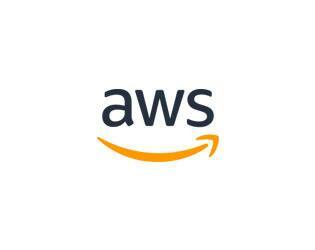 AWS offers over 125 fully featured services for compute, storage, databases, networking, analytics, robotics, machine learning and artificial intelligence (AI), Internet of Things (IoT), mobile, security, hybrid, virtual and augmented reality (VR and AR), media, and application development, deployment, and management from 60 Availability Zones (AZs) within 20 geographic regions, spanning the U.S., Australia, Brazil, Canada, China, France, Germany, India, Ireland, Japan, Korea, Singapore, Sweden, and the UK. AWS services are trusted by millions of active customers around the world—including the fastest-growing startups, largest enterprises, and leading government agencies—to power their infrastructure, make them more agile, and lower costs. To learn more about AWS, visit aws.amazon.com. 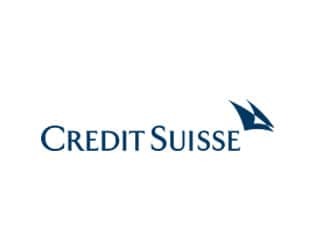 Credit Suisse AG is one of the world's leading financial services providers and is part of the Credit Suisse group of companies (referred to here as 'Credit Suisse'). Our strategy builds on Credit Suisse's core strengths: its position as a leading wealth manager, its specialist investment banking capabilities and its strong presence in our home market of Switzerland. We seek to follow a balanced approach to wealth management, aiming to capitalize on both the large pool of wealth within mature markets as well as the significant growth in wealth in Asia Pacific and other emerging markets, while also serving key developed markets with an emphasis on Switzerland. Credit Suisse employs approximately 45‘560 people. The registered shares (CSGN) of Credit Suisse AG's parent company, Credit Suisse Group AG, are listed in Switzerland and, in the form of American Depositary Shares (CS), in New York. Further information about Credit Suisse can be found at www.credit-suisse.com. 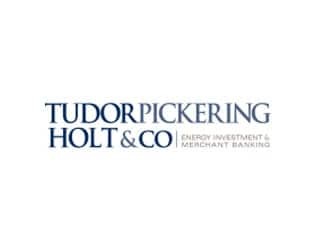 Tudor, Pickering, Holt & Co. is an integrated investment and merchant bank providing high quality advice and services to the energy industry. The company offers sales and trading, and research coverage on approximately 140 issuers worldwide. The firm’s investment management complex has more than $1.9 billion AUM dedicated to the energy space. Headquartered in Houston, Texas, TPH also has offices in Calgary, Denver, London and New York. 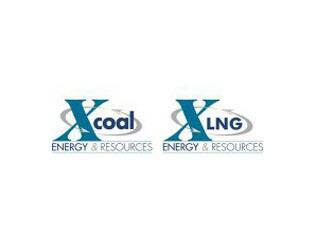 Xcoal Energy & Resources is a privately owned global coal marketing and logistics company headquartered in Latrobe, Pennsylvania (USA). Ernie Thrasher and Jack Porco are part of a 75-person team with a “customer first” mentality spread throughout 16 global offices. Xcoal specializes in marketing metallurgical, thermal, and anthracite coals from the U.S., Canada, Australia, and Indonesia, among others. Innovative and creative logistical processes support 2017 export volumes of nearly 22 million metric tonnes. Specifically, the internationally recognized ‘top off’ operation which maximizes vessel efficiencies demonstrating the long-term sustainability and completeness of U.S.A. origin coals in the global market place. Xcoal is active in marketing metallurgical coke within Europe. Xcoal is involved in coal mine development, financing, and related infrastructure projects and are actively pursuing investment opportunities in the global coal supply chain. Xcoal Energy & Resources was developed to market and deliver alternative forms of energy to the global marketplace. XLNG has access to abundant Marcellus- and Utica-basin shale gas supply in close proximity to developing LNG liquefaction plants. The venture complements Xcoal’s current coal marketing business as many of these coal customers are also consumers of LNG. XLNG will build on Xcoal’s current marketing infrastructure and commercial relationships, while utilizing a well-established and successful business model. We are confident in proposing value to LNG customers and plan to deliver competitive LNG to customers in the global marketplace through strong supply and logistics partnerships. As we have established in our international coal export business, we will build on our track record of reliable service & consistent supply as we develop our LNG business. 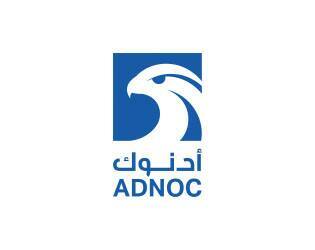 ADNOC is one of the world’s leading diversified energy and petrochemicals groups with a daily output of about 3 million barrels of oil and 10.5 billion cubic feet of natural gas. With 14 specialist subsidiary and joint venture companies, ADNOC is a primary catalyst for the UAE’s growth and diversification. To find out more, visit www.adnoc.ae. 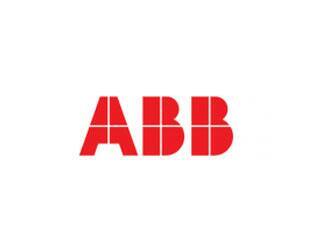 Aker ASA is an industrial investment company combining industrial expertise, knowledge of capital markets, and financial strength to develop and strengthen the companies in their diverse portfolio, including Aker BP, Aker Solutions, Aker Energy, and Cognite. Aker BP is a fully-fledged E&P company leading the digitalization movement on the Norwegian Continental Shelf. In terms of production, they are Europe’s largest independent oil company and have used their position to advance the cause of digital innovation across the value chain. Aker Solutions is a global oil service company that delivers services, technologies, products, and solutions within subsea and field design. They began incorporating digital twins into their operations early on and continue to set the standard for data-driven ways of working. 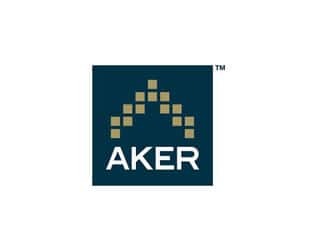 Aker Energy is an E&P company aiming to become the offshore oil and gas operator of choice in Ghana. They intend to build their operations in that region on a dynamic, digital foundation. And then there’s Cognite, the young, fast-growing technology company out to set the standard for the industrial data platform, empowering heavy asset industries to extract maximum value from their existing data. 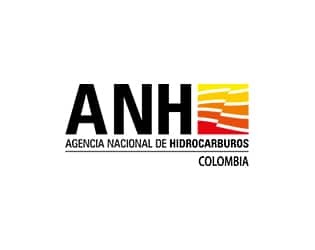 The National Hydrocarbons Agency is the administrator of the hydrocarbon resource of the nation, its actions are aimed at increasing the country's competitiveness by attracting domestic and foreign investors. The new regulatory framework offers greater flexibility and allows investors to access new E & P areas according to their needs. The areas are assigned in two ways: investors choice or ANH offers, both through modern, transparent and efficient procedures with appropriate management and monitoring mechanisms, that guarantee processes with high international standards. Additionally, the implementation of incentives and stable regulation has brought to the country large companies such as BHP Billiton, ExxonMobil, Shell, Anadarko, Statoil, Repsol, ONGC, Relliance and Petrobras that were interested in the Colombian market. Currently, the ANH is awarding the Permanent Procedure of Assigment Areas (PPAA), that represents an innovative model as opposed to the historical allocation modality of the ANH. This permanent competitive process allows us to take advantage of the commercial spaces of the industry in order to continuously promote blocks. For the incorporation of new reserves, the objective of the ANH is to formulate tools that allow the development of unconventional resources, expand the offshore and onshore exploratory frontier, and increase the improved oil recovery in mature fields. 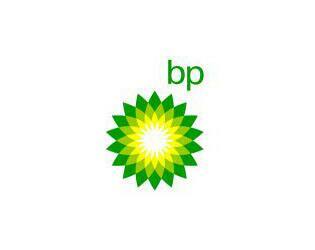 BP is one of the world’s leading international oil and gas companies, with operations in around 70 countries. We invest more in the US than in any other country, including more than $115 billion between 2005 and 2018. From the deep sea to the desert, from rigs to retail, our people work every day to serve our customers and provide heat, light and mobility. We find and produce resources, and manufacture and market fuels and products — tracking, trading and delivering the world’s energy in real time. We do all this while also supporting the world’s transition to a lower-carbon future. Indeed, BP is working to limit greenhouse gas emissions across our businesses while continuing to meet growing global energy demand. We have years of experience addressing this dual challenge, and today all four components of our business strategy are helping us contribute to and prepare for a lower-carbon future. 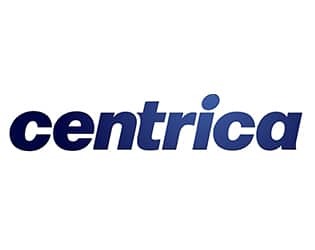 Centrica is a customer facing, international energy and services company. Our business is founded on a 200-year heritage of serving people. We supply energy and services to over 25 million customer accounts mainly in the UK, Ireland and North America through brands such as British Gas, Bord Gáis and Direct Energy, supported by around 15,000 engineers and technicians. Everything we do is focused on satisfying the changing needs of our customers, as we help to reduce their carbon footprint through advances in technology. Globally, the energy system is becoming more decentralised, customers have more choice, and technology is accelerating the pace of change. Our strategy is aligned to these trends by giving customers more choice and control, enabling them to be increasingly efficient in their use of energy. We have three divisions: Centrica Consumer, Centrica Business and Exploration & Production. The anchor of our Centrica Consumer business has always been energy supply and in-home installation and servicing. This remains the core of this division. Centrica Business is structured to deliver the full range of energy solutions – from on-site power generation to data-driven insight – which today’s businesses and public sector bodies demand. Our Exploration & Production business, Spirit Energy, is a joint venture with Bayerngas Norge AS. Its role is to provide the cash flow diversity and balance sheet strength needed to manage our exposure to volatile energy commodity markets. 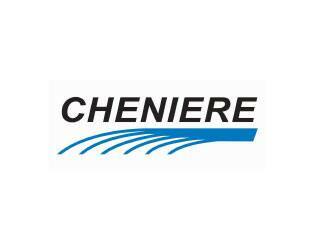 Cheniere Energy, Inc. is the leading producer and exporter of liquefied natural gas (LNG) in the United States, reliably providing a clean, secure, and affordable solution to the growing global need for natural gas. Cheniere is a full-service LNG provider, with capabilities that include gas procurement and transportation, liquefaction, vessel chartering, and LNG delivery. Cheniere has one of the largest liquefaction platforms in the world, consisting of the Sabine Pass and Corpus Christi liquefaction facilities on the U.S. Gulf Coast, with expected aggregate nominal production capacity of 36 million tonnes per annum of LNG operating or under construction. Cheniere is also pursuing liquefaction expansion opportunities and other projects along the LNG value chain. 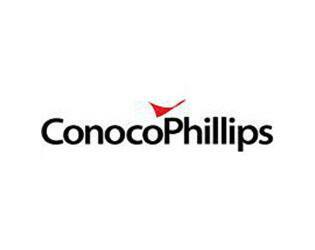 Cheniere is headquartered in Houston, Texas, and has additional offices in London, Singapore, Beijing, Tokyo, and Washington, D.C.
ConocoPhillips is the world’s largest independent E&P company based on production and proved reserves. Headquartered in Houston, Texas, we had operations and activities in 17 countries, approximately 11,100 employees worldwide and total assets of $71 billion as of Sept. 30, 2018. We are an independent E&P company focused on exploring for, developing and producing crude oil and natural gas globally. Our diverse portfolio primarily includes resource-rich North American unconventional assets; oil sands assets in Canada; lower-risk legacy assets in North America, Europe, Asia and Australia; several international developments across the portfolio; and an inventory of global conventional and unconventional exploration prospects. 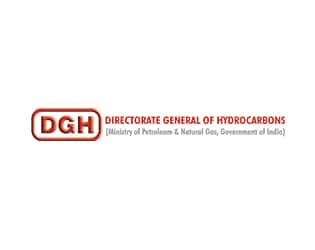 The Directorate General of Hydrocarbons (DGH) is the technical advisory arm of Ministry of Petroleum and Natural Gas and was established in 1993 through Government of India Resolution. Objectives of DGH are to promote sound management of the oil and natural gas resources while having a balanced regard for environment, safety, technological and economic aspects of the petroleum activity. Since its inception, DGH has been long involved in assisting the Government of India with upstream policy formulation and implementation. DGH has been entrusted with implementation of Hydrocarbon Exploration and Licensing Policy (HELP), Discovered Small Field (DSF) Policy, New Exploration Licensing Policy (NELP) and management of Revenue and Production Sharing Contracts for discovered fields and exploration blocks. DGH is actively engaged in promotion of investment in India’s E&P Sector and monitoring of Oil and Gas activities in licensed/leased acreages, review and audit management of reservoir of producing fields and upkeep of data generated through E&P activities. In addition, DGH is also engaged in opening up of new unexplored areas for future exploration and development of unconventional hydrocarbon sources like Coal Bed Methane, Shale Gas / Oil and Gas Hydrates. DGH under the aegis of MoPNG has taken many new initiatives/projects to further the E&P activities in India. Appraisal of unapprised area, incentivizing the enhanced recovery of Oil and Gas, streamlining of existing contracts through policy interventions, consolidation and storing of all Geoscientific data of country at NDR, re-assessment of hydrocarbon resources, etc. are to name a few. DGH also undertakes necessary promotional activities around the globe about changing E&P landscape in India, DGH takes this as a responsibility towards the investors and E&P stakeholders, to make them aware the ongoing and upcoming opportunities, furthering the E&P sector in India. 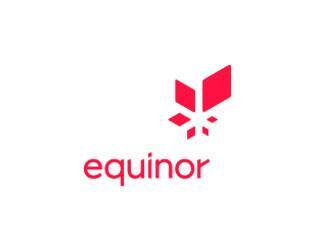 We’re Equinor, an international energy company with a proud history. Formerly Statoil, we are 20,000 committed colleagues developing oil, gas, wind and solar energy in more than 30 countries worldwide. We’re the largest operator in Norway, among the world’s largest offshore operators, and a growing force in renewables. Driven by our Nordic urge to explore beyond the horizon, and our dedication to safety, equality and sustainability, we’re building a global business on our values and the energy needs of the future. ExxonMobil uses technology and innovation to help meet the world’s growing energy needs, while at the same time reducing environmental impacts – including the risk of climate change. We hold an industry-leading inventory of global oil and natural gas resources. We are a leading marketer of petroleum products, and our chemical company ranks among the world’s largest. We continue to innovate and selectively invest across our integrated portfolio, creating long-term shareholder value by increasing energy supply in a safe, affordable, and environmentally responsible way. ExxonMobil’s Upstream business encompasses a portfolio of world-class projects, an industry-leading resource base, a diverse set of profitable producing assets, and high-quality exploration opportunities across all resource types and geographies. We have an active exploration or production presence in 38 countries. 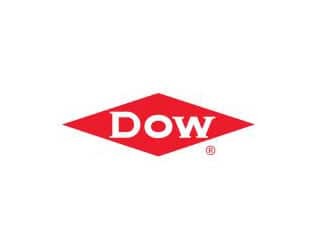 ExxonMobil’s Downstream business has a diverse global portfolio of advantaged refining and distribution facilities, lubricant plants, marketing operations, and brands, supported by a world-class research and engineering organization. Our high-quality products, combined with a strong global refining and distribution network, position us as a premier supplier around the world. 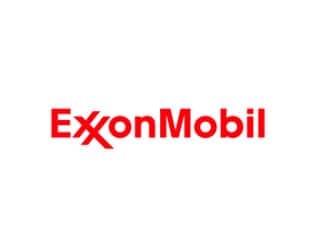 ExxonMobil Chemical is one of the largest chemical companies in the world. Our unique portfolio of commodity and specialty businesses generates annual sales of nearly 26 million tonnes of prime products. We have world-scale manufacturing facilities in all major regions, and our products serve as the building blocks for a wide variety of everyday consumer and industrial products. 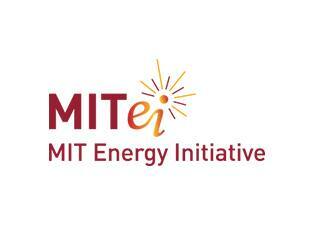 We are proud to play a leading role in providing the energy the world needs to support economic growth, technological advancement and the well-being of communities around the globe. As we provide energy and products around the world, we are also working to manage the risks of climate change. ExxonMobil has spent more than $9 billion on lower-emission energy solutions since 2000. We are committed to reducing greenhouse gas emissions in our operations, helping consumers reduce their emissions and supporting research that leads to technology breakthroughs. 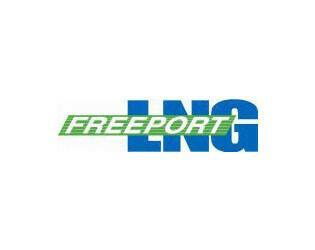 Freeport LNG owns and operates a Liquefied Natural Gas (LNG) terminal on Quintana Island, near Freeport, Texas. Freeport LNG’s export facility consists of three liquefaction trains, with Train 1 scheduled for commercial startup in Q3 2019, and full, three-train commercial operations by mid-2020. A fourth liquefaction train is under development with an expected start date in 2023. Each of Freeport LNG’s liquefaction trains is expected to produce in excess of 5.0 million tonnes per annum (mtpa) of LNG for export. Of the 15 mtpa production from the initial three trains, 13.9 mpta has been contracted under 20-year tolling agreements with JERA Energy America, LLC; Osaka Gas Trading & Export, LLC; BP Energy Company; SK E&S LNG, LLC; Toshiba America LNG Corporation; and Trafigura PTE LTD.
Indian Oil Corporation Ltd. (IndianOil) is India's flagship national oil company with business interests straddling the entire hydrocarbon value chain – from refining, pipeline transportation and marketing of petroleum products to exploration & production of crude oil & gas, petrochemicals and natural gas and globalisation of downstream operations. With a turnover of US$ 78.56 billion for the year 2017-18, IndianOil is India's largest commercial enterprise and the leading Indian corporate in Fortune's 'Global 500' listing, currently ranked at the 137th position. The IndianOil Group of companies owns and operates 11 of India's 23 refineries with a combined capacity of 80.70 million metric tonnes per annum (MMTPA), i.e., approximately 1.60 million barrels per day. Its cross-country pipelines network spans over 14,100 km and its 47,800 customer touch-points cater to the energy needs of a billion people. With a 33,000-plus work-force, extensive refining, distribution & marketing infrastructure and advanced R&D facilities, lndianOil plays a significant role in fuelling the socio-economic development of the country. With a mandate to ensure India's energy security and self-sufficiency in refining & marketing of petroleum products, lndianOil has in the past six decades provided energy access to millions of people across the length and breadth of the country. With India being the fastest growing large economy in the world today, IndianOil is investing big in refining, petrochemicals and natural gas segments. IndianOil continues to expand its business operations abroad through its overseas establishments in Sri Lanka, Mauritius, the UAE, Singapore and USA. During the year 2017-18, the Company has set up offices in Myanmar and Bangladesh too. With a Vision to be The Energy of India, IndianOil is on the path of becoming A Globally Admired Company. 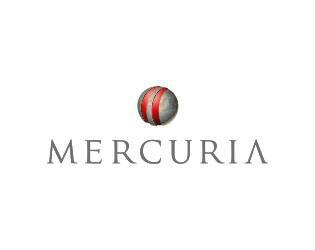 Mercuria is one of the world’s largest independent energy and commodities groups. The group is present all along the commodities value chain with activities forming a balanced combination of commodities flows and strategic assets. More than 1,000 people are operating from offices worldwide to sustain Mercuria’s extensive business reach in more than 50 countries with their market knowledge, diversity, and experience. Mercuria's expertise covers all segments of the energy market, including associated environmental products, and extends to iron ore, dry-bulk freight, base metals, concentrates, and petrochemicals. The group maintains sound infrastructure capabilities, including oil petroleum products storage terminals and production assets. These investments underpin Mercuria’s growing presence as a leading player in the global market. In 2016, Mercuria welcomed the strategic investment by China National Chemical Corporation (ChemChina), in addition to the investment by China Materials Storage and Transportation Development (CMST) into the Henry Bath warehousing business. In 2017, Mercuria Group completed the acquisition of the gas and power trading unit of Noble Americas Corp.
Recognizing the ever-growing correlation between energy products, commodities, and financial services, Mercuria is providing commodity financing solutions ranging from prepayments to structured joint ventures with its business partners. As a global leader in engineering and manufacturing, Mitsubishi Heavy Industries (MHI) Group pairs its technical expertise with a grounding in practical solutions that together drive innovations that move the world forward. MHI Group has a unique portfolio covering a wide range of industries, from commercial aviation to industry & infrastructure. The breadth of that portfolio extends into MHI’s operations in the energy sector, with businesses in areas ranging from Oil & Gas solutions for LNG to downstream, chemical and power generation (MHI Oil & Gas, Mitsubishi Hitachi Power Systems, PW Power Systems) to offshore and onshore wind and carbon capture technologies (MHI Vestas, Diamond Wind Turbine Group, MHI Engineered Systems Division). With the energy sector in transition, MHI’s diverse portfolio enables the company to deliver high-functioning integrated solutions across all sectors. Visit www.mhi.com for more info. 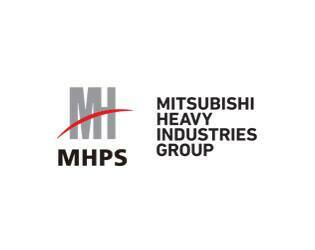 Mitsubishi Hitachi Power Systems (MHPS) is a part of MHI Group and is its main power generation arm. MHPS, the leader in advanced-class gas turbines, has maintained the industry record for the highest reliability and energy efficiency for the last 17 years. Mitsubishi Hitachi Power Systems Americas, Inc., headquartered in Central Florida, has the world’s most modern advanced-class gas turbine and steam turbine factory, located in Savannah, Georgia. MHPS Americas utilizes its OEM and non-OEM parts and repair centers to provide service, parts and repairs to a rapidly expanding installed base throughout the Americas. Products and services for the electric power generation sector include the world’s largest and most efficient gas turbines, steam turbines, geothermal turbines, boiler and environmental control systems. MHPS is leading a Change in Power by pioneering breakthrough technologies—from A.I. systems that automate power plants to renewable hydrogen solutions—to meet the increasing demand for cleaner, more efficient and more economical electricity. Visit www.changeinpower.com for more info. 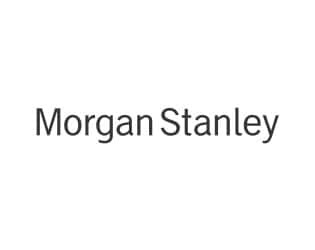 Morgan Stanley is a leading global financial services firm providing a wide range of investment banking, securities, wealth management and investment management services. With offices in more than 41 countries, the Firm’s employees serve clients worldwide including corporations, governments, institutions and individuals. 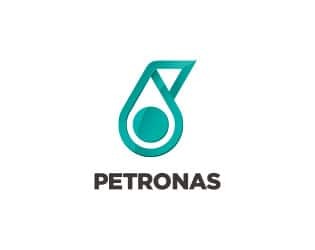 Petroliam Nasional Berhad (PETRONAS) is Malaysia’s national oil company and is on track towards becoming a leading oil and gas multinational of choice, ranked amongst the largest corporations on FORTUNE Global 500®. Since 1974, we have built our capabilities across every stage of the oil and gas value chain. We maximise the value of every molecule through our integrated business model. Our portfolio grows with conventional and unconventional resources; broadens with diverse fuel, lubricant and petrochemical products; and strengthens with a successful project delivery track record. Our technology is our differentiator, our people are our strength and our partners are our growth. The world’s energy needs are our fuel to deliver energy efficiently, reliably and sustainably. 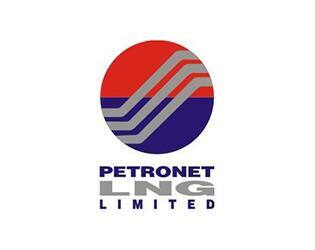 Petronet LNG Limited (PLL), one of the fastest growing world-class company in the energy sector in India, has set up the India's first LNG receiving and regasification terminal at Dahej, Gujarat, and another terminal at Kochi, Kerala in India. PLLwas formed as a Joint Venture company in 1998, by Government of India to import LNG and set up LNG terminals in the country. 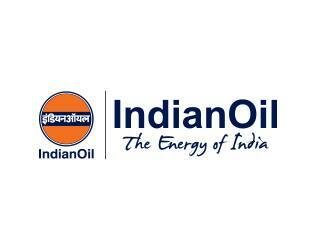 The promoters of the company are GAIL (India) Limited, Oil &Natural Gas Corporation Limited, Indian Oil Corporation Limited and Bharat Petroleum Corporation Limited. PLL Dahej terminal present capacity is 15 MMTPA and is running at full capacity. Kochi terminal has a capacity of 5 MMTPA. PLLimports a volume of 7.5 MMTPA LNG from Qatar Gas, (erstwhile RasGas) under a 25 year sale purchase agreement since 2004 and another 1.0 MMTPA since January 2016. It also importsabout 1.44 MMTPA LNG from ExxonMobil, Gorgon. PLL is scouting for opportunityto setting up LNG Terminal in Sri Lanka and Bangladesh and has carried out feasibility study for the development of small LNG terminal at Port Blair with the Andaman & Nicobar Administration. PLL has also taken initiative to introduce LNG as an automotive fuel and is mooring closely with various stakeholders for the same. 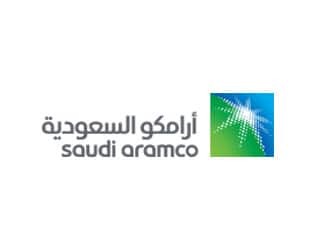 Saudi Aramco is the leading global integrated energy and chemicals company. We are driven by the core belief that energy is opportunity. From producing approximately one in every eight barrels of the world’s oil supply to developing new energy technologies, our global team is dedicated to creating impact in all that we do. We focus on making our resources more dependable, more sustainable and more useful. Further information can be found at www.saudiaramco.com. Siemens AG (Berlin and Munich) is a global technology powerhouse that has stood for engineering excellence, innovation, quality, reliability and internationality for 170 years. 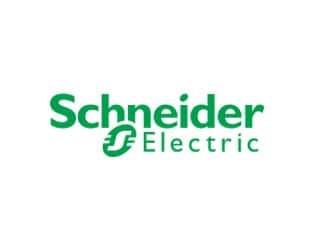 The company is active around the globe, focusing on the areas of electrification, automation and digitalization. 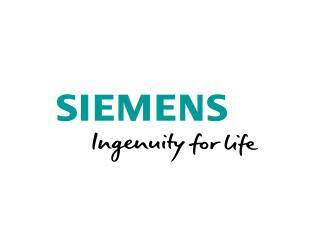 One of the world's largest producers of energy-efficient, resource-saving technologies, Siemens is a leading supplier of efficient power generation, power transmission, and oil and gas solutions, as well as a pioneer in infrastructure, automation, drive and software solutions for industry. The company is also a leading provider of medical imaging equipment – such as computed tomography and magnetic resonance imaging systems – and a leader in laboratory diagnostics as well as clinical IT. In fiscal 2017, which ended on September 30, 2017, Siemens generated revenue of €83.0 billion and net income of €6.2 billion. At the end of September 2017, the company had around 377,000 employees worldwide. Further information is available on the Internet at www.siemens.com. 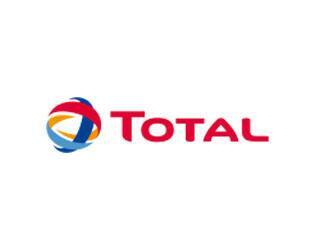 Total is a major energy player that produces and markets fuels, natural gas and low-carbon electricity. Our 100,000 employees are committed to better energy that is safer, more affordable, cleaner and accessible to as many people as possible. Active in more than 130 countries, our ambition is to become the responsible energy major. 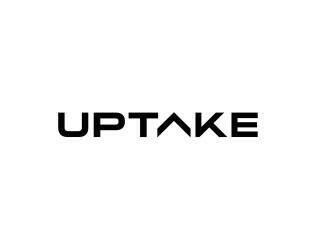 Uptake is a leading provider of artificial intelligence (AI) and IoT software for industrial companies. We combine data analytics and machine learning with deep industry knowledge to create financial outcomes for our customers such as increased reliability, productivity and safety. Uptake applications for Asset Performance Management (APM), Service Management and Process and Operations employ Uptake AI engines and are built on Uptake’s enterprise IOT platform. Headquartered in Chicago with locations in Silicon Valley, Washington D.C., Toronto and Dubai, Uptake is used by global industrial customers worldwide to leverage machine sensor, operations, financial, weather and multiple other data sources to discover newfound efficiencies, drive new business models and create competitive advantages. Uptake helps energy leaders optimize their business today while preparing to win in a shifting market landscape. 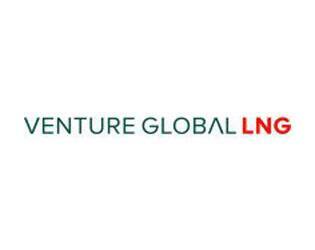 Venture Global LNG is a long-term, low-cost provider of LNG to be supplied from resource rich North American natural gas basins. 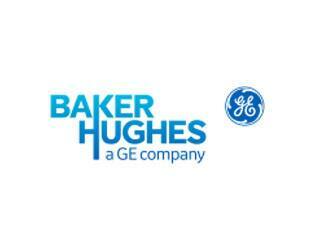 Venture Global LNG’s liquefaction process system will employ a highly efficient and reliable suite of products supplied by Baker Hughes, a GE company (BHGE). Venture Global LNG is developing both the 10 MTPA Venture Global Calcasieu Pass facility (on an approximately 1,000-acre site located at the intersection of the Calcasieu Ship Channel and the Gulf of Mexico) and the 20 MTPA Venture Global Plaquemines LNG facility (on an approximately 630-acre site in Plaquemines Parish, Louisiana, 30 miles south of New Orleans on the Mississippi River). Venture Global has raised $855 million of capital to-date to support the development of its projects. More can be found at www.venturegloballng.com. 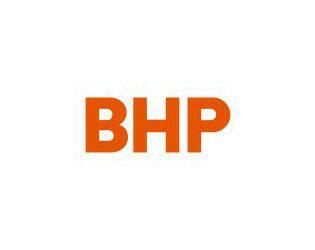 BHP is a leading global resources company. Our purpose is to create long-term shareholder value through the discovery, acquisition, development and marketing of natural resources. BHP is among the world’s top producers of major commodities including iron ore, metallurgical coal, copper and uranium. We also have substantial interests in oil, gas and energy coal. Our Petroleum business comprises conventional oil and gas operations, and includes exploration, development and production activities. We have a high-quality resource base concentrated in the United States and Australia. Our production operations consist of conventional assets located in the US Gulf of Mexico, Australia, and Trinidad and Tobago. We produce crude oil and condensate, gas and natural gas liquids (NGLs) that are sold on the international spot market or delivered domestically under contracts with varying terms, depending on the location of the asset. We prioritize our people’s health and safety and strive to create an environment free from fatalities, injuries and occupational illnesses. Our size and scope allow us to make meaningful contributions to communities, and the long-term nature of our operations means we are able to build collaborative community relationships. We aim to maximize the social and economic benefits of our operations, contribute to economic development and minimize our environmental footprint through innovation, productivity and technology. 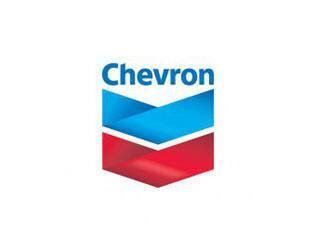 Chevron Corporation is one of the world's leading integrated energy companies. Through its subsidiaries that conduct business worldwide, the company is involved in virtually every facet of the energy industry. Chevron explores for, produces and transports crude oil and natural gas; refines, markets and distributes transportation fuels and lubricants; manufactures and sells petrochemicals and additives; generates power; and develops and deploys technologies that enhance business value in every aspect of the company's operations. Chevron is based in San Ramon, Calif. More information about Chevron is available at www.chevron.com. 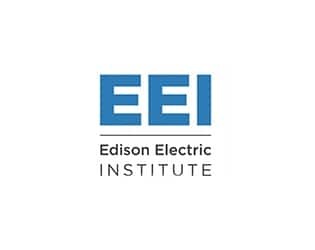 The Edison Electric Institute (EEI) is the association that represents all U.S. investor-owned electric companies. Our members provide electricity for about 220 million Americans, and operate in all 50 states and the District of Columbia. As a whole, the electric power industry supports more than 7 million jobs in communities across the United States. In addition to our U.S. members, EEI has more than 65 international electric companieswith operations in more than 90 countries, as International Members, and hundreds of industry suppliers and related organizations as Associate Members. Eni is one of the global oil and gas super-players employing nearly 33.000 people in 71 countries in the world. 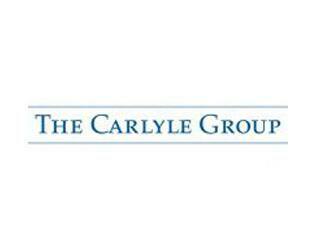 As of March 31, 2018, the company's market capitalisation was calculated at $64 billion. Eni is consistently ranked among the top 150 companies on the Fortune Global 500 list according to revenue. Eni engages in oil and natural gas exploration, field development and production, as well as in the supply, trading and shipping of natural gas, LNG, electricity and fuels. 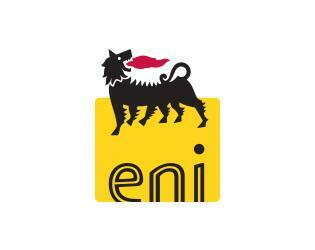 Through refineries and chemical plants, Eni processes crude oil and other oil-based feedstock to produce fuels, lubricants and chemical products that are supplied to wholesalers or through retail networks or distributors. Eni’s strategies, resource allocation processes and conduct of day-to-day operations underpin the delivery of sustainable value to all of our stakeholders, respecting the countries where the company operates and the people who work for and with Eni. Integrity in business management, support the countries development, operational excellence in conducting operations, innovation in developing competitive solutions and renewable energy sources, inclusiveness of Eni’s people and development of know-how and skills, integration of financial and non-financial issues in the company’s plans and processes drive Eni in creating sustainable value. These elements lead to wise investment choices, prevention of risks and the achievement of strategic objectives in the short, medium and long term. Eni is working to build a future where everyone can access energy resources efficiently and sustainably. Eni’s work is based on passion and innovation, on unique strengths and skills, on the quality of the people and in recognising that diversity across all aspects of the operations and organisation is something to be cherished. Eni believes in the value of long term partnerships with the countries and communities where it operates. JERA Co., Inc. is an energy company with global reach that has strength in the entire energy supply chain, from participation in LNG and other fuel resource projects and fuel procurement, through power generation. 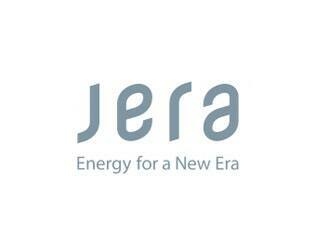 JERA was established in 2015 as an equal joint venture of two major Japanese electric companies, TEPCO Fuel & Power Incorporated and Chubu Electric Power Company. JERA is the world’s largest offtaker of LNG, with an annual transaction volume of about 35 million tons. Leveraging its position as a leading LNG buyer, JERA also makes strategic investments upstream resources, LNG production capacity and LNG transportation. JERA has established JERA Global Markets, as a joint venture based in Singapore, to enhance its capabilities in risk management, market interface and optimization of its fuels position. As of March 2018, JERA holds interests in power generating capacity, mainly in North America, Asia and the Middle East, totaling 8GW on an equity basis. JERA will succeed to ownership of its shareholders’ conventional power-related facilities in Japan in April 2019, including power plants at 25 locations with capacity of approximately 65GW and interests in 8 LNG receiving terminals. JERA is actively developing a position in renewable power and new energy technology, such as battery storage. Another high priority for JERA is growing and supplying new markets for LNG, through the development of projects connecting links in the LNG value chain, from LNG sourcing, to transportation, to receiving, to gas supply and power generation. Maana organizes the world's industrial data and human expertise into digital knowledge to enable millions of experts to make better decisions affecting global economy and human civilization. Using our Knowledge Platform and its proprietary Computational Knowledge Graph , Fortune Global 500 industrial companies drive answers to operational questions that direct the future. 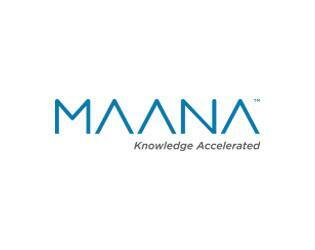 Operating internationally, Maana is a privately-held company with offices in Menlo Park, California; Bellevue, Washington; Houston, Texas; London, UK; and Dhahran, Saudi Arabia. To learn more about Maana and our Knowledge Platform , visit www.maana.io. 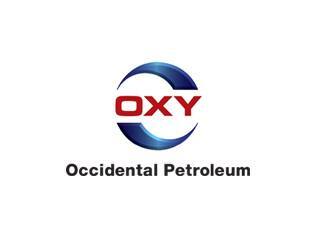 Occidental Petroleum is an international oil and gas exploration and production company with operations in the United States, Middle East and Latin America. Headquartered in Houston, Occidental is one of the largest U.S. oil and gas companies, based on equity market capitalization. Occidental's midstream and marketing segment gathers, processes, transports, stores, purchases and markets hydrocarbons and other commodities. Occidental's wholly owned subsidiary, OxyChem, is a major North American chemical manufacturer. Founded in 1920, Occidental's success is built on technical expertise, business acumen, strong partnerships and our proven ability to deliver lasting results. We are committed to being a Partner of Choice® everywhere we operate. 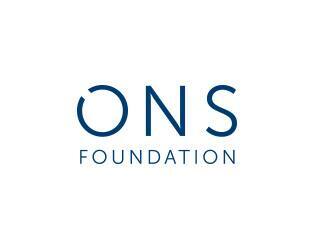 The ONS Foundation is a non-profit organization arranging one of the world`s leading meeting places for the energy industry every second year. ONS was founded 40 years ago and has grown significantly over time. The main event is a biannual Conference, Exhibition and Festival which highlights the technical, managerial and governmental aspects of the industry. ONS gathers top executives from the energy sector and relevant political leaders. In 2018, ONS attracted more than 68.000 visitors from around the world. It`s programme included 650 speakers and had an audience of more than 18.500 people. In addition, almost 1150 exhibitors from 37 countries was present at the premier exhibition, amongst them 28 E&P companies. In addition to the ONS main event, ONS regularly convenes high-profile events on timely and relevant topics for the core customers. ONS 2020 will be hosted 31. August – 3. September, Stavanger, Norway. Our purpose is to provide the energy that sets people and businesses into motion to achieve their potential. We perform, through our unique technical capacity, in the oil exploration and production, refining, natural gas, electric energy, logistics, trade, distribution, and bio-fuel segments. Repsol is a global energy company present throughout the whole energy value chain. The company employs more than 25,000 people and its products are sold in more than 90 countries, reaching 10 million customers. Repsol produces over 700,000 barrels of oil equivalent per day and has one of the most efficient refining systems in Europe. The company operates low-emissions electricity generation assets, including photovoltaic and offshore wind power projects. Repsol is pioneering development of mobility initiatives to create new solutions and energy sources for transportation. It is my pleasure to welcome you all on behalf of Repsol to CERAWeek 2019, a premier event in bringing together the international energy community. The oil & gas industry has played an essential role in the world’s economic development by satisfying global transport, heating and lighting needs, and it will continue to play a key role in guaranteeing that demand is met in a safe, competitive, and sustainable way. At Repsol, we believe the three key pillars in the transition towards a low-carbon future are enhanced energy efficiency and energy savings, reduced emissions from electricity generation supported by natural gas, and the deployment of low-emissions technologies in final sectors. We are committed to ensuring people’s well-being by staying one step ahead in building a better global energy future through the development of smart and sustainable solutions. Thus we believe that the industry’s future lies in becoming global energy providers, capable of supplying each individual the energy they need at any given time. 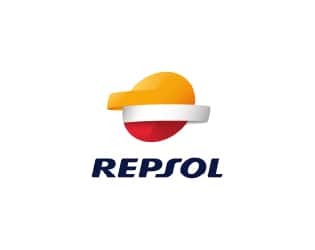 Repsol has incorporated these premises in its strategic thinking by planning for profitable and sustainable growth in our upstream and downstream businesses while incorporating hydroelectric, solar and gas-fed electricity generation assets, as well as by developing new mobility and household energy solutions for our ten million clients worldwide. I sincerely hope that you enjoy the conference and that together we can continue the dialog that will allow us to build solutions for today and tomorrow’s world. 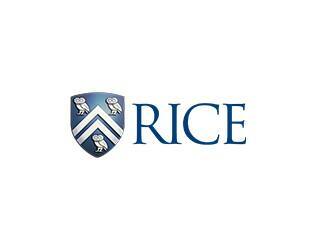 Located on a 300-acre tree-lined campus in Houston, Rice University is consistently ranked among the nation's top 20 universities by U.S. News & World Report. Rice's undergraduate student-to-faculty ratio is approximately 6-to-1. Its residential college system builds close-knit communities and lifelong friendships, just one reason why Rice is highly ranked for best quality of life by the Princeton Review and for best value among private universities by Kiplinger's Personal Finance. Rice is a comprehensive, leading research university that fosters diversity and an intellectual environment that produces the next generation of leaders and advances tomorrow's thinking. Salesforce is the global leader in customer relationship management (CRM), bringing companies closer to their customers in the digital age. Founded in 1999, Salesforce enables companies of every size and industry to take advantage of powerful technologies—cloud, mobile, social, internet of things, and artificial intelligence—to connect to their customer in a whole new way. The Salesforce Customer Success Platform includes industry-leading services spanning sales, service, marketing, commerce, and across every customer touchpoint. Salesforce will power more than 2 trillion B2B and B2C transactions this year for more than 150,000 companies and millions of Trailblazers--the individuals and their organizations who are using Salesforce to drive innovation, grow their careers and transform their businesses. Salesforce is committed to a set of core values—trust, customer success, innovation, and equality of every human being. The company is ranked #1 on Fortune’s World's Best Workplaces list, and Forbes has ranked the company one of the world's most innovative companies for eight years in a row. Salesforce is #285 out of the Fortune 500 (2018). 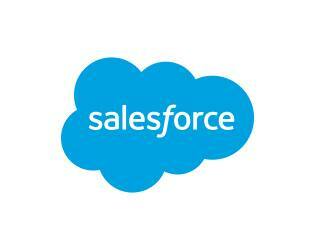 Salesforce is headquartered in San Francisco with 30,000 employees globally, and is publicly listed on the New York Stock Exchange as CRM (2004). 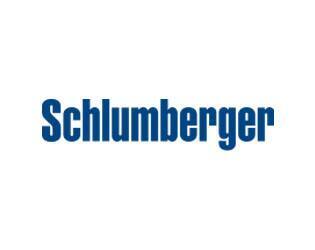 Schlumberger is the world’s leading provider of technology for reservoir characterization, drilling, production and processing to the oil and gas industry. Knowledge, technical innovation and teamwork are at the center of the organization. 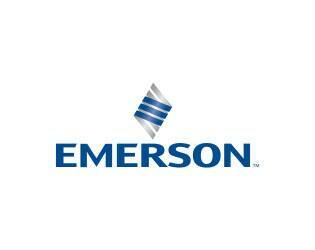 For more than 90 years, the company has focused on leveraging these assets to deliver solutions that improve customer performance. Today, Schlumberger supplies the industry's most comprehensive range of products and services, from exploration through production and integrated pore-to-pipeline solutions for hydrocarbon recovery that optimize reservoir performance. Combining technology with new business models and advanced integrated systems connects our customers to the full potential of the domain expertise and data we can provide at every stage of the pore-to-pipeline process. Reflecting our belief that diversity spurs creativity, collaboration, and understanding of customers’ needs, we employ more than 100,000 people who represent over 140 nationalities and work in more than 85 countries. Schlumberger continues to build on the industry's longest track record of providing leading-edge E&P technology to develop new advancements—from reservoir to surface. 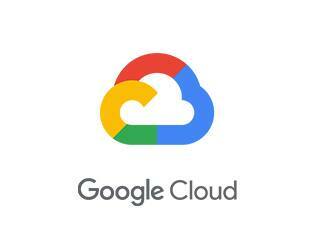 The company has always invested significant time and money on new technologies as a long-term strategy to support and grow its leadership position. New digital technologies now constitute a significant portion of this effort and complement our long-standing strength in domain science and hardware engineering. In 2018, Schlumberger invested more than $700 million in technology development for our oilfield activities. In addition to technology development, modern manufacturing methods such as robotics and automation are important focus areas and are a key contributor to our delivery and quality performance. 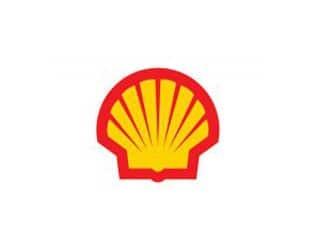 Shell is a global group of energy and petrochemical companies with an average of 86,000 employees in more than 70 countries. Shell’s core values are honesty, integrity and respect for people. We also strive to maintain a diverse and inclusive culture within our company. We use advanced technologies and take an innovative approach to help build a sustainable energy future. As energy projects become more complex and more technically demanding, we believe our engineering expertise will be a deciding factor in the growth of our businesses. Our key strengths include the development and application of technology, the financial and project management skills that allow us to deliver large field development projects, and the management of integrated value chains. Stanford Precourt Institute for Energy helps shape the university’s energy research and education efforts across campus. Stanford Energy’s goal is sustainable, affordable and secure energy for all people. Some 200 faculty members, together with their students, are creating ingenious technologies and policies to help make that happen. Stanford Energy catalyzes collaborative research to solve real-world problems. For example, Stanford Energy’s Natural Gas Initiative is developing tools to quickly and cheaply find and fix methane leaks from well pads to city streets. A new “carbon dividend” proposal led by George Shultz, chair of the Hoover Institution Task Force on Energy Policy has been endorsed by 3,400 U.S. economists, including 27 Nobel laureates and all living former chairs of the Federal Reserve. Stanford Energy’s Bits & Watts is creating new software for automation of the electric grid. The new Sustainable Finance Initiative is working with governments, development banks and the private sector to rapidly accelerate global clean energy investments. Tellurian was founded by Charif Souki and Martin Houston and is led by President and CEO Meg Gentle. Tellurian intends to create value for shareholders by building a low-cost, global natural gas business, profitably delivering natural gas to customers worldwide. 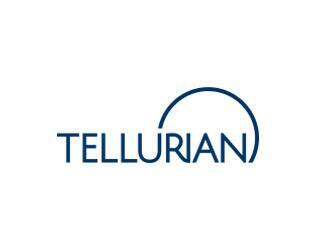 Tellurian is developing a portfolio of natural gas production, LNG trading, and infrastructure that includes an ~ 27.6 mtpa LNG export facility and an associated pipeline. Tellurian is based in Houston, Texas, and its common stock is listed on the Nasdaq Capital Market under the symbol "TELL". Trafigura is a leading oil, gas and coal trading and logistics company. It sources, stores, transports and delivers oil and petroleum products, and metals and minerals to clients around the world. 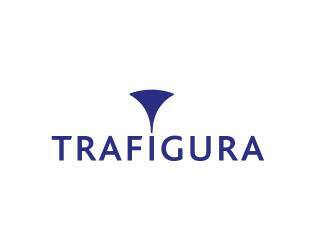 Since its foundation in 1993, Trafigura has experienced consistent growth becoming one of the largest physical commodities trading groups in the world today. With a revenue of USD181.7 billion in 2018, the Group traded 2.1 billion barrels of oil and petroleum products and 95.9 million metric tonnes of metals and minerals over the year. Trafigura’s trading business is supported by industrial and financial assets, including 49.3 percent owned global oil products storage and distribution company Puma Energy, with over 3,100 service stations in strategic emerging markets; global terminals, warehousing and logistics operator Impala Terminals; Trafigura's Mining Group; and Galena Asset Management. The Company is owned by around 700 of its 4,300 employees who work in 66 offices in 38 countries around the world. With offices in Houston, Texas and Stamford, Connecticut, Trafigura has a significant and growing presence in the US. It has become a key player in the export of US crude oil to international markets. Together with partner King Ranch, Trafigura is leading the Texas Gulf Terminals Project, which is a new offshore facility that will provide a safe, efficient and cost-effective infrastructure solution for the export of U.S. crude oil from the Permian and Eagle Ford Basins. The project will allow Very Large Crude Carriers to load cargo safely, directly, and fully via a single point mooring buoy system approximately 15 miles from shore in the Gulf of Mexico. The project is expected to handle about 10 percent of the expected growth in U.S. oil production, complementing additional export infrastructure in the region. 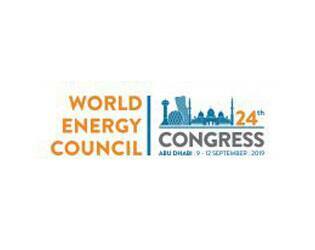 The 24th World Energy Congress will be held in ADNEC Abu Dhabi from 9-12 September 2019. Running since 1924, the Congress enables dialogue among Ministers, CEOs, policy-makers and industry practitioners on important developments in the energy sector. A flagship event of the World Energy Council, the Congress offers a unique platform for global energy leaders to explore new energy futures, critical innovation areas, and new strategies. In 2019, the 24th World Energy Congress will be held in Abu Dhabi under the patronage of H.H. Sheikh Khalifa Bin Zayed Al Nahyan, President of the United Arab Emirates. Under the theme "Energy for Prosperity", the Congress will gather over 15,000 participants, including 250 star speakers, 70 ministers, 500 CEOs, 500 Media, and an exhibition space that will cover 40,000 sqm. 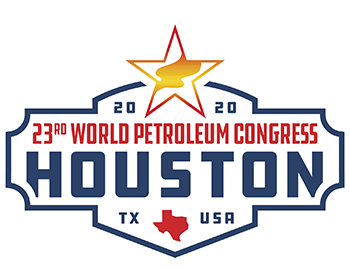 The 23rd World Petroleum Congress, WPC 2020, is coming to Houston next year. It attracts the highest-level industry and government leaders from around the world, including Heads of State, Ministers of Energy and C-Suite Executives. The triennial Congress draws delegates from more than 100 countries, including 50 National Delegations, 700 Expert Speakers, 500 CEOs, 1,000 Media, 400 Exhibiting Companies and more. 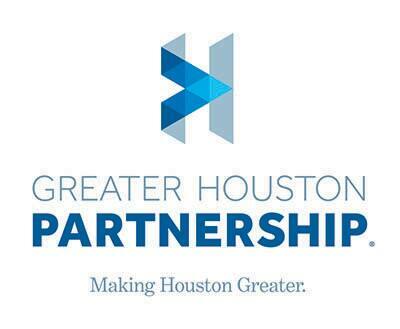 Last held in the United States in 1987, Houston will host WPC 2020 December 6-10, 2020. When this premier oil and gas forum meets in Houston, energy Capital of the world, expect an exceptional event. For WPC 2020, anticipate a compelling technical programme, large-scale exhibition and strong participation. The WPC 2020 theme, Innovative Energy Solutions, will feature innovations from across the energy sector, from upstream to midstream to downstream. An industry wide forum, WPC brings together super-major, multi-national, independent and national oil companies, operators, and service and consulting firms from around the world. For sponsors, exhibitors and speakers, WPC 2020 provides a singular opportunity to showcase their brands, thought-leadership and innovations among global industry leaders. Delegates can anticipate exceptional content, dialog and networking. 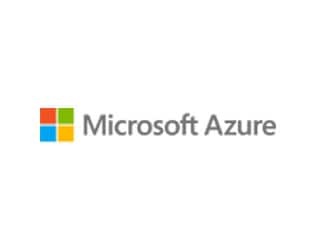 WPC 2020 Sponsorships are available now. Exhibition sales and call for papers open in Q2 2019, and delegate registration opens in 2020. More information available at wpc2020.com and on social media @23wpc2020. 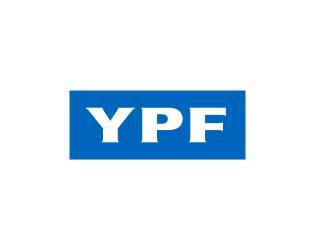 YPF is Argentina’s largest energy company, operating a fully integrated chain with leading market positions across the domestic oil & gas upstream, downstream and power generation segments. With over 95 years of history, it is a publicly traded corporation on the New York and the Buenos Aires stock exchanges. YPF’s upstream business produces around 550,000 boe/day. Besides its conventional oil and gas operations, the company leads the development of unconventional resources outside North America, including the Vaca Muerta play, a world-class shale formation. In addition, its downstream business includes 3 refineries and a vast retail network of over 1,500 service stations. 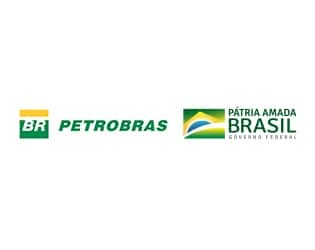 It is also one of the main petrochemical manufacturers in Latin America. As part of the energy transition towards a low-carbon future, YPF is also investing in new solutions including renewable power projects and initiatives to improve energy efficiency across all its businesses. YPF is fully committed to unlock value across all energy paradigms in order to supply energy to its customers in an efficient and sustainable manner, applying world-class technology to all its operations.